Why Should I Go to Detox? If you are looking for a safe place to stop using substances, then you may want to consider detox. There are a variety of detox settings to choose from, depending on your situation. What is Detox and What Does It Entail? Detoxification (detox) is usually a person’s first point of contact with substance abuse treatment. During detox, a number of interventions are utilized to manage acute withdrawal. As substances clear from the body and their toxic influence subsides, any distressing symptoms that may arise are managed with appropriate medication or supportive methods, like getting enough sleep, drinking water, healthy eating, and stress relief exercises. Evaluation: The first step during detox is to conduct a drug use history and assess for the presence of substances in a person’s system. The team will also evaluate the individual to determine the presence of any co-occurring mental or physical health issues. The information collected during this initial evaluation will be used to create a detox schedule and the individual’s treatment plan. Stabilization: During this phase of detox, the individual is supported through acute withdrawal to ensure they are medically stable and substance-free. Depending on the specific substance or substances in question, this process can be done with or without medication. Preparing to enter the next phase of treatment: When a person is fully detoxed, and they are stable, they may agree to enter into a substance abuse treatment program. So, what is the biggest takeaway about detox? 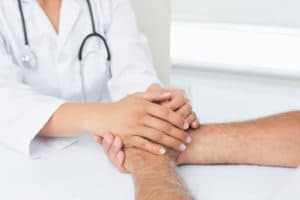 It is a beneficial and safe procedure that can help you rid the drugs from your system, but alone, it does little to correct problematic behaviors that led to your addiction. Detox will not teach you how to manage triggers or control your behavior, which is why it’s important to transition into a substance abuse treatment program after completing detox. What Settings Does Detox Occur In? Drug detox can take place in a wide variety of settings, including emergency rooms, acute care clinics, inpatient treatment centers, and more. 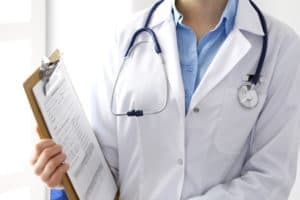 Physician’s office or home health care agency: Detoxing under the care of a physician can be done if you’ve been cleared to safely detox on an outpatient basis. Generally, this type of detox is effective if you have relatively mild withdrawal symptoms and have an innate motivation to quit. In some cases, medications may be prescribed to facilitate an outpatient medical detox. If you go this route, your doctor should be able to accommodate frequent follow-up visits during your acute withdrawal. Day hospital service: This level of outpatient detox treatment is monitored by licensed and credentialed nurses. You may spend a longer period of time at the day hospital receiving detox services, but you still return home in the evening. Social detox setting or nonmedical detox: Social detox emphasizes the support of peers. It is most appropriate for people with relatively less severe addiction issues and low-risk withdrawal syndromes. People who opt for this level of care benefit from around-the-clock monitoring, but aren’t at risk of complicated withdrawal. Medical inpatient detox: These facilities provide medically supervised detoxification services around the clock. Detox takes place in a freestanding treatment center or hospital where all of your detoxification symptoms will be addressed. If you aren’t sure which setting is appropriate for you, you can schedule an appointment with your doctor to receive a comprehensive evaluation of your addiction and mental, physical, and social health. Your doctor will then use this information to refer you to the level of detox they think would be best and safest for you. In addition to the factors above, detox costs vary depending on the program setting and, in the case of inpatient/residential programs, the types of amenities offered. Location: Detox facilities that are upscale and located near the beach, in a gorgeous desert setting, or up in the mountains may cost more than facilities located in urban or rural settings. Facility type: Inpatient detox will cost more than outpatient programs. Access to a pool or spa: This type of amenity is in high demand and can increase the cost of detox when offered. Meals: During detox, you may work with a nutritionist about what foods are best for you to have. Depending on the facility, some meals may be higher quality than others–and this would factor into the overall cost of treatment. Treatment approaches offered: Depending on the facility, some may specialize in offering certain therapies alongside detox, such as holistic offerings like massage therapy, acupuncture, yoga, and meditation. If you know you want a program that offers a particular service, it may affect cost. 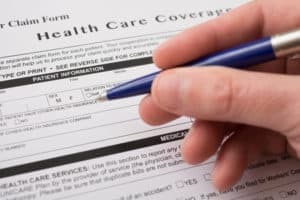 If you have insurance, you are probably wondering how to get started in the process of enrolling in treatment. The first step is to call your insurance company or, alternatively, the detox center itself. Make sure to have your membership identification number ready. There is a number on the back of your card that you can call anytime and speak to an insurance representative. They will be able to answer your questions. You might be wondering, what do I ask? “What does my insurance company deem to be ‘medically necessary’”? It’s important to get a professional assessment done because once you receive an official diagnosis of a substance use disorder or substance addiction, then you will get a better idea of what your insurance policy will cover. If you don’t have insurance, there are ways to pay for addiction treatment so that you can get the help you need. Purchase an insurance policy through the health insurance marketplace: Anyone can buy a plan through the marketplace and every state has their own marketplace. Each plan will vary depending on the state, but most provide coverage for detox and substance abuse treatment. You can find yours by visiting the HealthCare.gov state-by-state marketplace listing. There is an open enrollment period for people to apply for a health insurance marketplace plan. The period is from November 1st to January 31st each year. State-funded rehab programs: These are facilities that receive government grants or subsidies to offer treatment programs. State-funded rehab is typically offered in conjunction with jails or the court system. Due to limited funding and high demand, you can expect these facilities to offer less private rooms and lower staff-to-client ratios. Although they don’t offer the highest quality amenities, they still provide the necessary treatment you need in recovery. If you have very limited resources keep these as an option. Payment plans: Most treatment programs offer patients the opportunity to pay in installments. This helps to ease the burden of paying one huge lump sum. Sliding scale: Sliding scale models are popular and available at many treatment centers. The cost of your detox is determined by what you are able to pay. For example, if you are a lower income individual, you will have to pay a lower cost than someone who is in a high-income bracket. Credit card: People can opt to put the cost of treatment on a credit card and pay it off over time. There are specialized credit cards for healthcare needs; just be sure to pay off the debt as soon as you can, as these cards often have high interest rates. Loans: Similar to a credit card payment, taking out a loan will allow you to pay in full upfront and cover the monthly repayment costs over time. 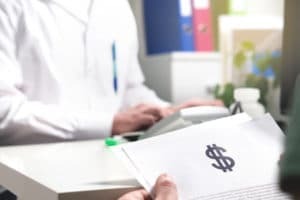 There are specific healthcare loans that you can take out, but these may also have high interest rates, so again, be sure to pay these debts off as quickly as possible. Scholarships: Some treatment centers and private donors offer scholarships to help eliminate barriers to care. You can ask around to see what scholarships are available for those seeking detox and recovery. Oftentimes, people share resources in group meetings like Alcoholics Anonymous or other 12-step groups. 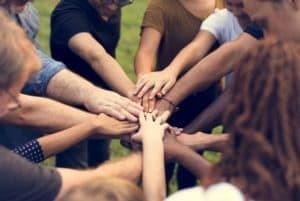 Crowdfunding: Crowdfunding is a new platform for fundraising, where you can share your story of addiction and let people know how they can help. Although it can be scary to share your substance abuse issues in a public space, it can also be freeing to tell your story. Who knows, you may inspire someone who is going through similar issues to seek help. There are a few crowdfunding platforms to choose from–GoFundMe.com, com, and others. There is no absolute cure for addiction, and recovery takes time and ongoing support. For most people, after finishing detox, it is recommended that they enter a formal substance abuse treatment center to continue with their recovery. Transitioning into an addiction treatment center can reduce your risk of relapse and equip you with the skills you need to maintain abstinence in the long-run. Individual therapy: It can be extremely beneficial to create a relationship with a psychologist for ongoing, individual therapy after you leave detox. Having a regular point of contact with a professional who you can speak freely with will help you work through any issues that arise in recovery. Group counseling: Many healthcare settings offer group counseling where you can get together with others who are in recovery. In group counseling, a skilled therapist will guide the discussion and allow space for you to offer and receive support from others in the group. Family therapy: Family therapy can lead to greater understanding, compassion, communication, and trust. When family members are given the opportunity to talk through issues, it can lead to healing for everyone involved or affected by a loved one’s addiction. Medication-assisted treatment (if applicable): If medically necessary and applicable, treatment might include medication, such as Suboxone or methadone, for opioid addiction, or naltrexone and acamprosate for alcohol dependence. Aftercare planning: Before you discharge, you will likely sit down with someone at your treatment center to develop a plan for aftercare and relapse prevention. This may include mapping out the positive influences in your life, what you enjoy doing, and creating a schedule that is healthy and helps you avoid triggers to use. You may develop a healthy eating plan, exercise routine, and times when you are going to attend individual or group counseling. Remember, recovery is a life-long process. The best way to maintain sobriety in the long run is to create a strong and sober support network, attend ongoing treatment, and avoid trigger situations. Center for Substance Abuse Treatment. (2006). Settings, levels of care, and patient placement. Detoxification and Substance Abuse Treatment, 9-18. National Council on Alcoholism and Drug Dependence. (2018). Self Help/Recovery Support Groups. Why Go to Rehab After Detox?